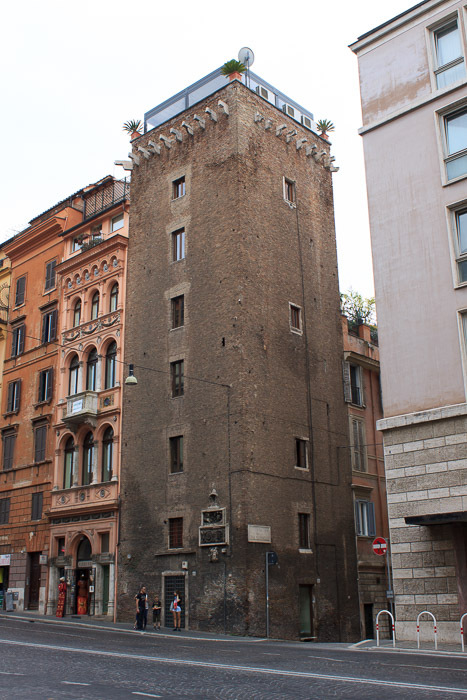 Torre Colonna is a 12th or 13th century tower at the corner of Via 4 Novembre and Via delle Tre Cannelle. It's the only remaining tower of several that formed the defensive system of the family Colonna, one of the most powerful noble families of medieval Rome. The Palazzo Colonna, their enormous family residence, is not far away, and is open to the public on Saturday mornings. The tower is decorated with ancient Roman relief sculptures near the base. It is now a hotel. See all Torre Colonna photos.